He was one of the best OC's we've had in quite sometime. Yeah. That was the lucky hire by Jets. Jets took him as last option after many rejections from "better" coaches. It is a shame that Morton's stay was brief. In an addition to that insult, he remains unemployed. umm. I was never a fan of Jeremy Bates. I don't know why people where going crazy about him. He got high marks as a QB coach but that doesn't always translate to calling the plays which he has really struggled with. Seems like a good QB coach trying to figure it out as an OC which he has failed at. I saw that. But the story looked like it was just Elway trying to get him to coach Denver again. Not sure he’d take a project job. I wouldn't be so sure. You can't discount the Darnold effect- the youngest starting QB in the league and unanimously considered one of the best QB prospects in the past decade. He's also the prototype QB for Shanahan's offense. When you couple that with a pretty good crop of young players, the draft pick, and the money, there's a lot to like. Mike Maccagnan spent 8 years with Gary Kubiak in Houston. Kubiak is one of Mike Shanahan's confidants. Brian Heimedinger's father, Mike, was extremely close with Mike Shanahan. Brian got his first job in Houston while Kubiak was the coach. Jeremy Bates, Rick Dennison, Karl Dorrell, and David Diaz-Infante have all links to Shanahan and Kubiak. Jeremy Bates has a lot of believers in the organization, namely Maccagnan and Heimedinger. Whether it makes sense or not, a lot of ties run back to Mike Shanahan, and if the Jets front office/ownership seek to catapult off the foundation that has been implemented rather than blow everything up, it could be by hiring a coach like Shanahan to run the football operation alongside Maccagnan, who I believe would signoff on such a marriage. He'd be the type of coach that wouldn't deviate much from Darnold's development, would have a clear idea of the type of players he would seek on offense, and has enough respect around the league to build one of the best staffs in football. 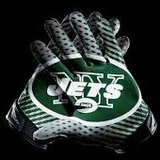 At the very least, I think the Jets will approach Shanahan with the idea of returning to coaching with the Green and White. I would take a pass on Shanahan. I think he has been out of the league too long and the game has passed him by. I don't know that the game has necessarily passed him by, but I agree in that I'd rather go in another direction. I like the idea of him here. I just question him wanting a project. I think the reasons you mentioned absolutely make us intriguing for a lot of HCs. But not really ones to come out of retirement and not able to big time compete for another couple years. Pretty sure Shanahan works with his son in an unofficial capacity. I want no part of Shanahan personally. Our last few coaches have been first timers. I think we need a veteran Head Coach more than anything. Honestly I don’t see any coordinators who are must have guys right now. I'm really high on Toub personally. I want experience at the HC spot but not one that is 66 and been out of the league for years. The game has changed. We cant continue to be this far behind the times. I was just reading that Kyle Shanahan broke into coaching as a graduate assistant under Karl Darrell when he was HC at UCLA. Now I’m even more upset that we didn’t fire Bowles at the break and put Dorrell in charge. Maybe he could have won the job. At this point I want a HC coach, preferably under 50, that will put the focus on protecting Darnold with a better OL and offensive weapons. The game has changed yet these explosive offenses that every wants are beginning to slow down. Also Shanahan again has a ton of positives we can’t just overlook. This obsession with a young offensive mind is scary.